For many organisations, exhibitions are a golden opportunity to meet with key prospects – past and present. 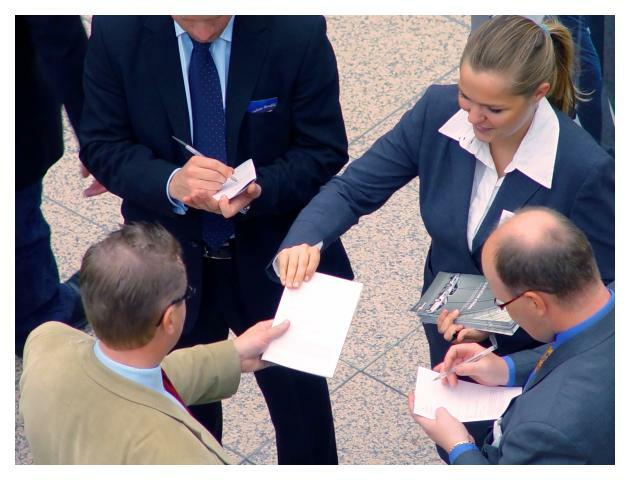 Consequently, with a busy meeting schedule in place, many organisations often find they have a gap in terms of staffing key events because their key sales personnel are involved in discussions which often take place away from the exhibition stand. Consequently, more and more organisations are relying on external resource to represent their brand at key events around the world. The problem is… how can you be sure the people you have hired will represent your organisation in the right way? Will they be professional? Will they be familiar with the key messages and unique selling points? If you’re planning an event and you are thinking of hiring in specialist event staff, 200m2 can can assist. As a specialist event staffing agency in its own right, more and more companies are outsourcing their event staffing needs to 200m2. When hiring 200m2 to provide event staff on your behalf, you are outsourcing the time consuming process of contracts, wage and training over to the experts. What’s more, you will be getting highly experienced and well-trained people whose skillset is specific to your needs. Put us to the test… Get in touch today.